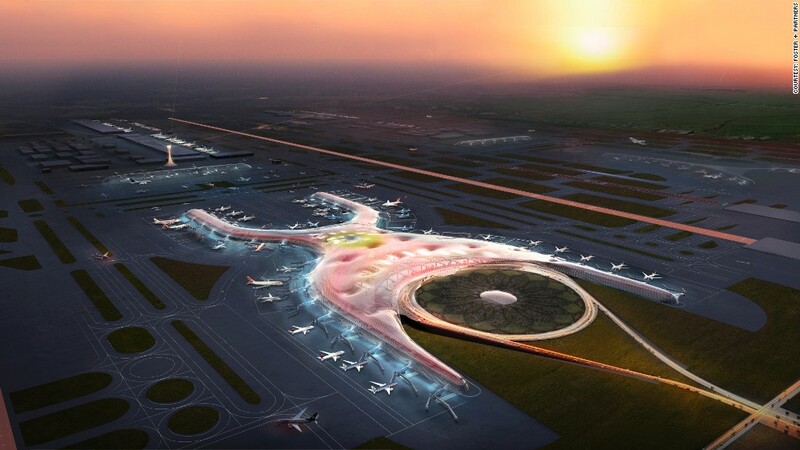 An illustration of what the new airport in Mexico City might look like when it is completed. The airport of the future will be less like a sprawling bus depot and more like a large, sustainable park. The number of passengers and aircraft are set to double by 2033, according to Jack Plunkett, CEO of Plunkett Research, a firm specializing in the travel industry. To adapt to the growing crowds, airports are changing, and a select few are prioritizing sustainability as part of the process. 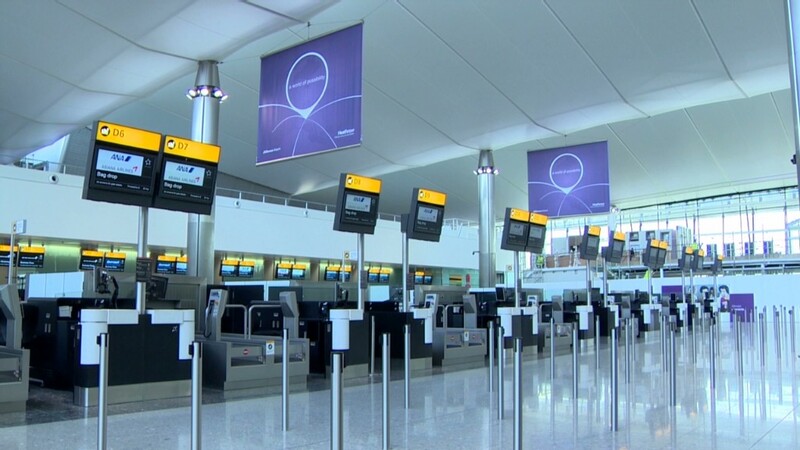 "You could sum up the future of airports in one simple phrase, and that is: Much bigger, and much more efficient," said Plunkett. Right now a new airport is being built in Mexico City, which is slated for completion by 2020 and will make traveling better for passengers and the environment. The airport is expected to service 50 million people a year and the new design is all about energy efficiency. Gates will be within walking distance, and the roof is being built to incorporate solar technology. There will also be an on-site energy plant that will collect, treat and recycle rainwater. Other areas of the world are also getting in on the sustainability game, and bringing travel into the 21st century. "The Chinese have been staying well ahead of the curve," Plunkett said. "With the Olympics in Beijing and then Shanghai World Expo, they dramatically set the bar for airport development." He pointed to Shanghai's maglev train, which uses magnetic levitation technology to take passengers from the outskirts of the city to the airport at a speed of about 250 miles per hour. Foster + Partners, the design firm behind Mexico City's new airport, contributed to Beijing Capital International Airport's Terminal 3. The dragon-like design focused on efficiency, sustainability and natural light. Skylights were built into the soaring roof to maximize morning sun, connections between terminals take two minutes in a train that travels at 80 miles per hour, and the heating and cooling system was built to minimize energy consumption. There's also London's Terminal 2, which is the world's first BREEAM-certified airport (the U.K. equivalent of a LEED certification). It was awarded the distinction for its sustainable design and operation, which includes a reduction of CO2 emissions, water efficiency and lighting control system to keep energy use down. The terminal is aiming to be recycling or composting 70% of its waste by 2020. Some airports in America are also keeping a focus on sustainability. The Chicago Department of Aviation, for example, is in its second season of employing a herd of goats, sheep, llamas and burros to graze on the nearly 8,000 acres of property at the O'Hare International Airport. Seen as an alternative to toxic herbicides, the herd is part of the airport's sustainable vegetation management initiative. And Denver international Airport just added another solar array (like a huge solar panel), which it says will offset greenhouse gas emissions each year and can generate enough electricity to power about 500 homes. The airport is thinking on the small-scale too, and installed water bottle filling stations so passengers can hydrate without generating waste. In that first year, the stations filled the equivalent of 600,000 half-liter plastic bottles, helping to reduce waste into the future.